ah, father’s day…maybe the most stress-inducing gift-buying holiday outside of christmas. men are notoriously hard to shop for, and unless your dad’s addicted to golf or bad ties, the usual suspects for men’s gifts are, well, lackluster. haffstreuner watch, by hlaska ($200): i can tell you that choosing one thing to feature from hlaska for father’s day was no small feat…honestly, i could have written this whole guide from their site. but if i have to choose, i think a hip new watch is the ultimate dad gift. if you’re up for a splurge (or, more likely, going in on something with your siblings), my favorite is this super-sized haffstreuner watch, which is sleek and simple, but destined to remain perpetually stylish. the face actually reminds me a bit of a compass, so it’s sure to bring a flash of nostalgia to dad’s eye, and make him feel like a serious wilderness trekker wherever he roams. 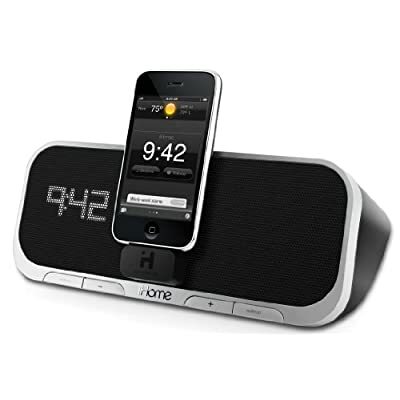 iHome app-enhanced alarm clock ($99): for the seriously gadget-addicted dad, this is guaranteed to keep him occupied for hours on father’s day (and beyond). it’s an iphone dock and charger, plus alarm clock – but it works with a (free) iphone app to let dad take his naps to a whole new level of tech-supervised sophistication. he can fall asleep to james taylor and wake up to the beastie boys (your mom should love that). it will even update dad’s facebook page when he beds down and wakes up (in case you haven’t managed to convince your ‘rents to avoid facebook entirely). plus, the display is super cool. i’ve been testing it for a week or so, and while i’ll admit that it may be a little more high-tech than i can handle, that should thrill any geeked-out dad beyond measure. bucket boss tool organizer, amazon ($16): don’t laugh. okay, you can laugh…it totally baffles me too. but i honestly haven’t seen my hubs get more excited about anything he’s bought lately (with the obvious exception of his new ipad) than this weird bucket boss. 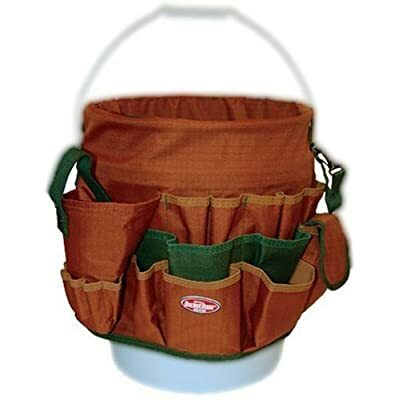 it’s basically a tool belt that you attach to, yes, a bucket. for some reason, it’s as enthralling as a new power tool…especially in my house. throw in a bucket, and maybe even this “super cool” bucket lid seat thing to go with it (also a big hit), and you’ve got yourself one very happy, handy dad, all for about $30. here’s hoping one or two of these help you add a little creativity to your gift-giving this year. something tells me your dad has enough neckties. This entry was posted in gift guide, guys and tagged amazon, father's day, hlaska, ihome, williams sonoma on 10 June, 2010 by shoppingsmycardio.